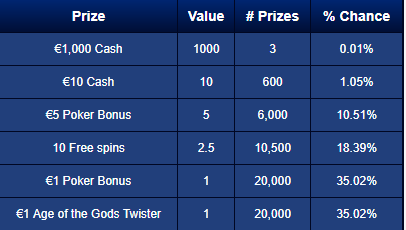 Join partypoker today and win some of the great prizes! After Monster Series and Fastforward Rake Race, partypoker announced another promotion which takes part this weekend – Sit & Go Jackpot Quick-Fire Leaderboards. To be more specific, it starts today at 12:00 CET and ends at 23:59 CET on Sunday. But that is not all! The same exact promotion will be on also during the next weekend – July 27th until July 29th. Leaderboard rankings are based on tournaments that begin within each 6-hour period. 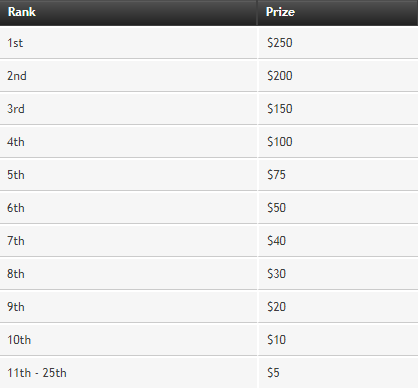 Final placings will not be confirmed until 24 hours after the promotional period ends. To earn points, play Sit and Go Jackpot tournaments (regular Sit & Go not included) and climb up the leaderboards. 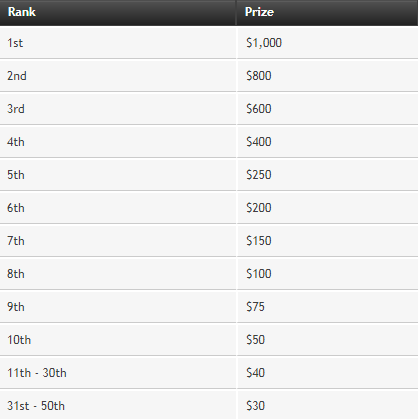 The top 5 positions at each level will win a cash prize, worth up to $500! Join partypoker today and win your share from this and many other promotions! 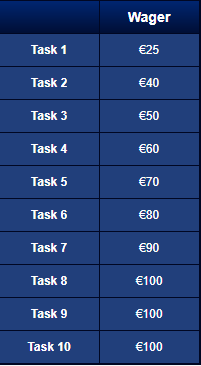 Fastforward Rake Race by partypoker is on from 00:00 CET Thursday 19th July to 23:59 CET Sunday 29th July. Win your share of $66.000! For every $1 you rake, you earn 1 point! 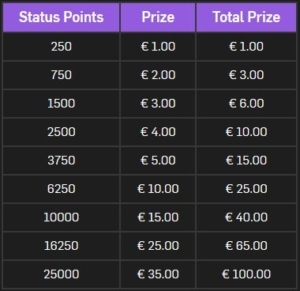 Points you earn at micro stakes tables are only for the Micro leaderboard, and points you rake at Mid stakes goes only to a Mid Leaderboard. Earn enough points to win a prize at the end of the day and cash will be added to your poker balance just 48 hours later. Join partypoker today and start winning your prizes! Check out for more partypoker promotions on our site! 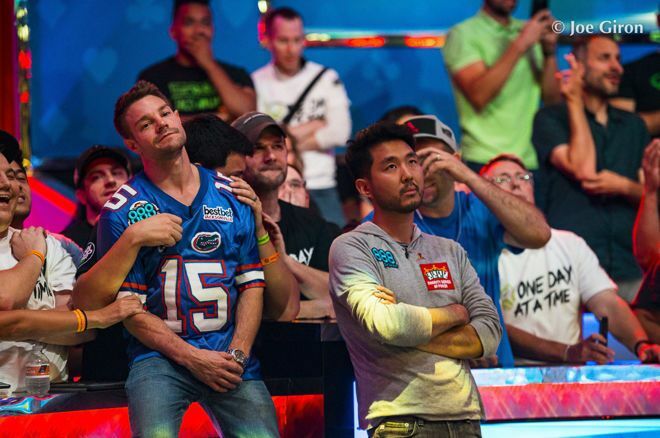 One Drop, the World Series of Poker event with the highest Buy-in came to an end. 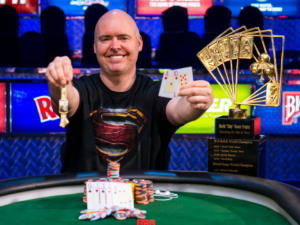 Justin Bonomo won $10 million and a bracelet. 27 players took the part in this $1 million buy-in tournament, which is also the last tournament of the Series. The prize pool was $24 million and more than $2 million went to One Drop Foundation. 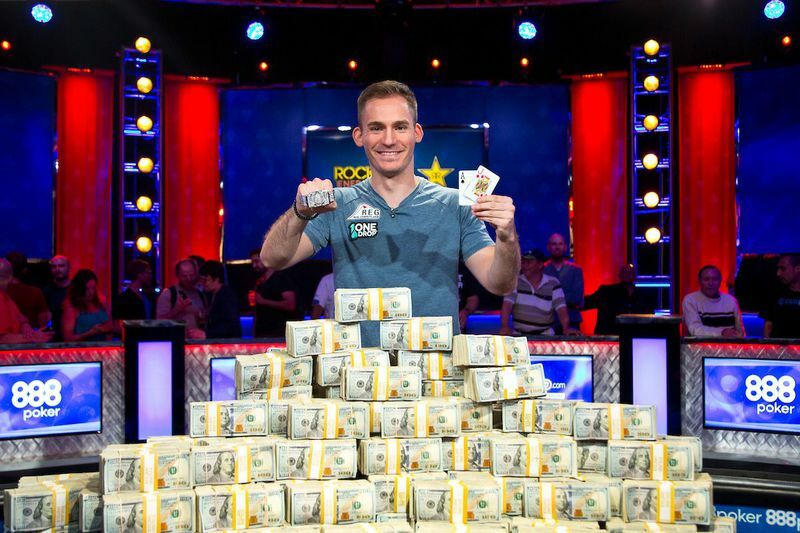 This is Justin Bonomo’s best score so far, and with this title, he became 1st on the “All Time Money” list with tournament earnings of almost $43 million. He took the top from Daniel Negreanu who has $39.6 million in lifetime tournament earnings. SlOW-ROLL OR NOT? WHAT YOU THINK? A lot of noise came up after the final hand of WSOP Main Event and the subject is slow-roll! The runner-up finisher, Tony Miles, accused the actual champion, John Cynn for unfair play, which caused the reaction of many people from the poker world. What do you think? Was this a slow-roll in the final hand? Cynn opened with K J , Miles 3bet him with Q 8 . The flop came: K K 5 . Miles made a continuation bet and Cynn just called. The turn brought 8 and Miles pushed all-in. After thinking for a while Joh Cynn made a call. When Miles saw what Cyn had, he was shocked why he took so long for this, according to him, easy call. However, Cynn immediately apologized and told Miles that he didn’t have an intention to slow-roll him, he just wanted to think thru. 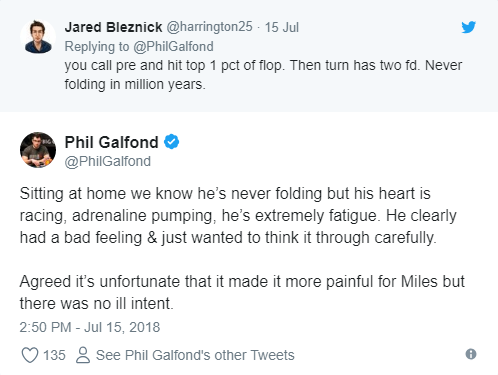 Maybe the most interesting Tweets come from Phil Galfond. Mike Matusow also commented on this situation in his recognizable style, of course. However, Tony Miles didn’t take long to regret his accusations and apologize to John Cynn, who he considers as a very good person and friend. “We were playing for millions of dollars and John had every right to take his time and talk through his decision. My immediate reaction of angst and frustration was unwarranted and I take full responsibility for what I said.”, Miles announced. What do you think? Was this a slow-roll or not? Tell us your opinion. https://yourpokercash.com/wp-content/uploads/2018/07/images.png 191 264 surosevic@fourcubed.com https://www.yourpokercash.com/wp-content/uploads/2017/05/ypc-logo.png surosevic@fourcubed.com2018-07-18 12:12:472018-07-18 12:16:18SlOW-ROLL OR NOT? WHAT YOU THINK? What a great summer for Joe Cada! 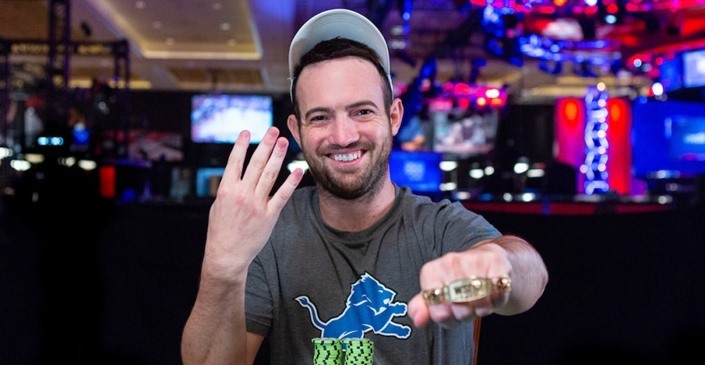 The 30- years old 2009 World Series of Poker Main Event champion from America managed to take another two bracelets this year. 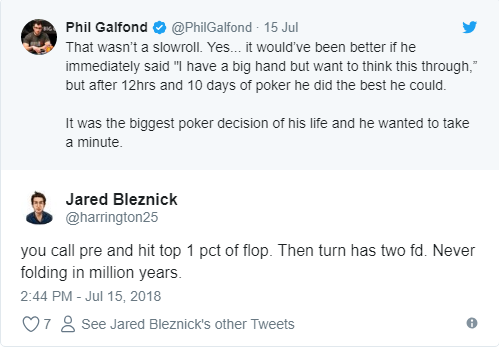 Besides that, he finished 5th in this year Main Event and cashed $2.15 million. 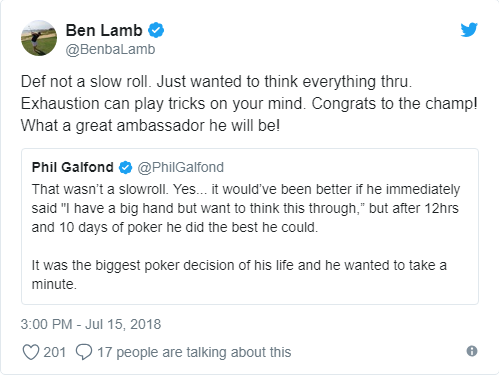 After playing on the final table of the most prestigious tournament, he took just one day off and won a $1.500 buy-in event, named “The Closer”. He finished on top defeating the field of 3120 entries! By winning this tournament, Cada collected another $612.886. He now has more than 13 million winnings at WSOP! World Series of Poker, the organization which owns the Poker Hall of Fame, gave an official statement last week that two new members of this elite club are John Hennigan and Mori Eskandani! They are the winners in the quite tough competition. You can check other candidates on the image below. John Hennigan is familiar in poker world under his nickname “Johnny World“. He is one of the top-rated high stakes cash players. He also has a great success in tournaments. This summer Hennigan won another WSOP event which is his 5th bracelet. Besides that, he managed to reach the ITM on 10 WSOP tournaments this year. 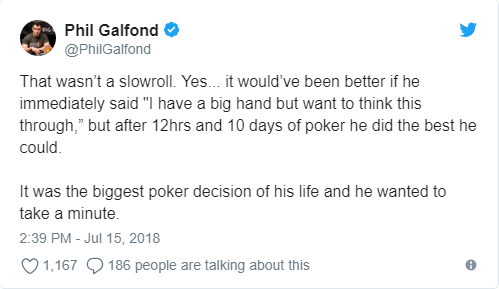 Really impressive results and we can freely say that John totally deserved his entrance in Poker Hall of Fame. 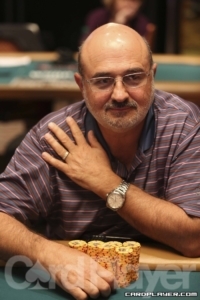 Although he plays poker, Mori Eskandani is much more famous as a TV poker producer. He was in charge for many shows. Some of the most famous are WSOP, NBC Heads-Up Championship, Poker After Dark and High Stakes Poker series. 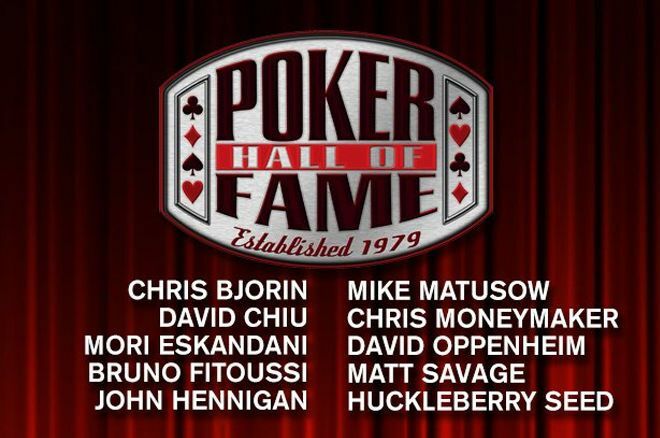 Poker Hall of Fame exists from 1979. There are 56 members. Most of them are poker players but there are also significant poker co-workers such as Mori Eskandani. One of the biggest skins on the iPoker network, Betfair, brings us The Bank job – a great promotion which is running this July. How does The Bank job promotion works? This promotion is available to everyone who doesn’t have any other pending bonuses. You need to have all your bonuses either cleared or expired. If that’s the case, log in to your Betfair account, go to the Cashier and in the reward section enter the code “JULBANKJOB2018” and you are in! Then you just need to start playing and earning your points to release the prizes. 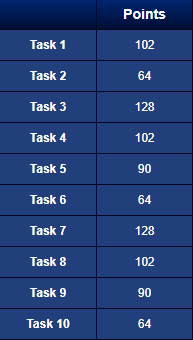 You can track your progress in Betfair Poker software in the “Progress State” bar. For more benefits, Betfair can get you, check out on our site!